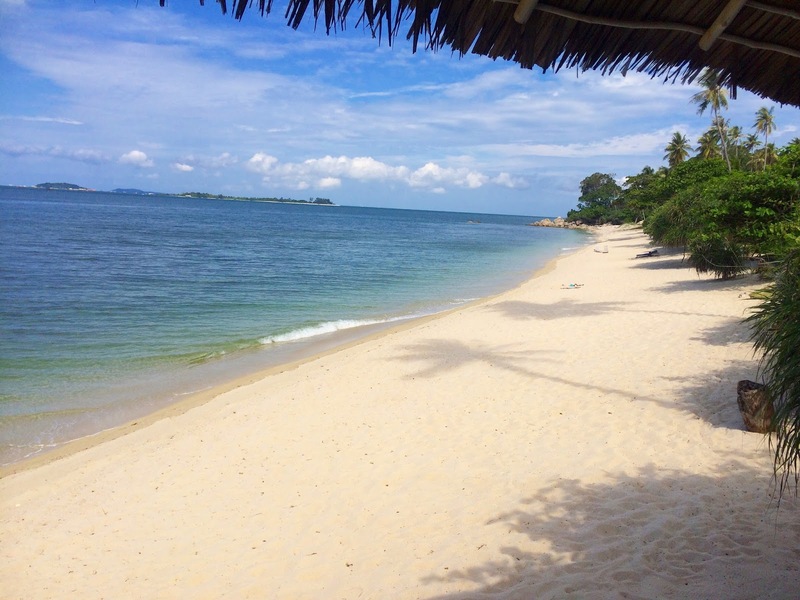 We spent two days, two nights on the Indonesian island of Bintan, just one hours ferry ride from Singapore. We arrived at our villa - Trikora Beach Club - quite late, so aside from a few fairy lights winding their way around the palm trees, our surroundings were completely dark. 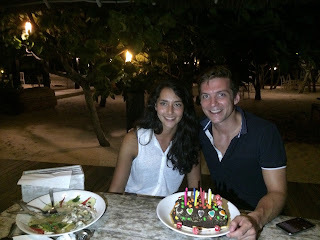 We went to bed and the next morning I woke up another year older with a big, fat smile on my face. We were staying in a little hut right on a long stretch of deserted beach. The skies were blue, the sea was calm and it was perfect. We spent the day drinking champagne and paddle boarding - absolute bliss. A friend had recommended that we check out a fishing village and the fireflies whilst we were over there. Just before sunset, we headed out on a little boat with a guide who showed us the different fishing boats for sting ray, squid and tuna, and told us how the tuna fisherman would head out to sea for ten days, collect their haul, then spend another ten days travelling back to sell the fish at market, before repeating the whole journey again. Our guide also pointed out a row of houses on stilts in the water who belong to what he termed 'Sea People'. The Sea People are the fishing families who maintain old Bintan traditions; living on the sea, fishing without any modern technology (such as GPS), collecting rain water for washing and drinking, using petrol generators for electricity and teaching their children to become fisherman as soon as they are able instead of going to school. Their homes in the little village were beautiful and it was fascinating to hear how differently and separately they lived to the other land fisherman. 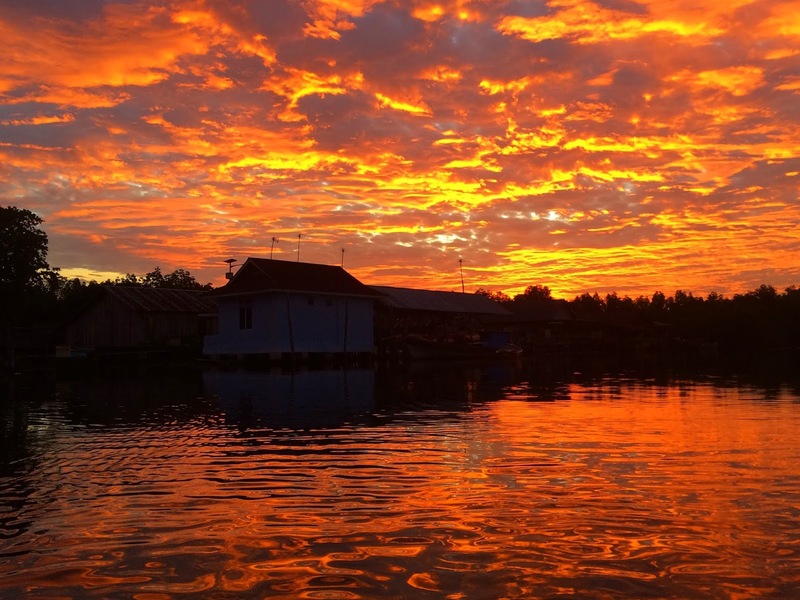 We continued on the little boat towards the mangroves, and as we did so, the sky was set on fire by the sun. I've never seen anything like it. We continued up the mangrove lined river and as darkness fell, the trees around us began to flash. Thousands of little green and yellow fireflies were signalling to one another and it was as if we were surrounded by rows of Christmas trees. It was so pretty and peaceful, and as we returned back down the river it felt as though we had seen something magical. 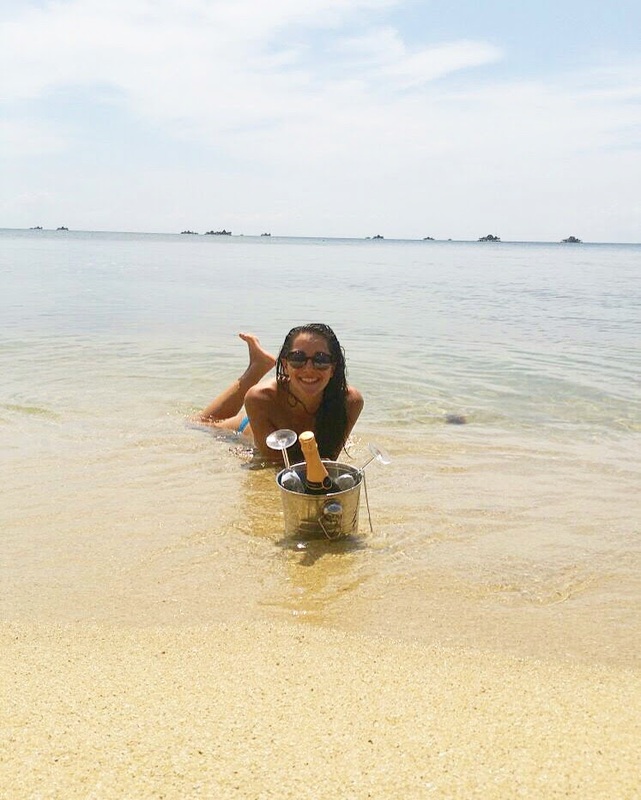 Bintan was the perfect birthday retreat, and I would definitely stay at Trikora Beach Club again. The staff at were so friendly and welcoming, and they even made me a huge cake and gathered around to sing happy birthday to me in the evening. My only negative is that they only stock Bintang beer, so if you're a wine or cocktail drinker like me you'll have to bring some bottles along with you or be left a little thirsty. 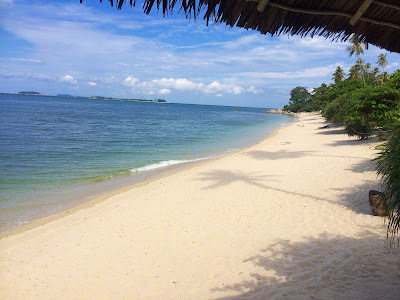 For anyone living in Singapore - Bintan is such a quick and easy place to get to and it's definitely the place to go if you're looking to relax and get away from the built up city for a day or two. The only thing to watch out for is the expense - it's similar pricing to Singapore so if you'd prefer a cheaper villa, drinks and dinner you'd be better off heading further afield to Bali, Krabi or Phuket!